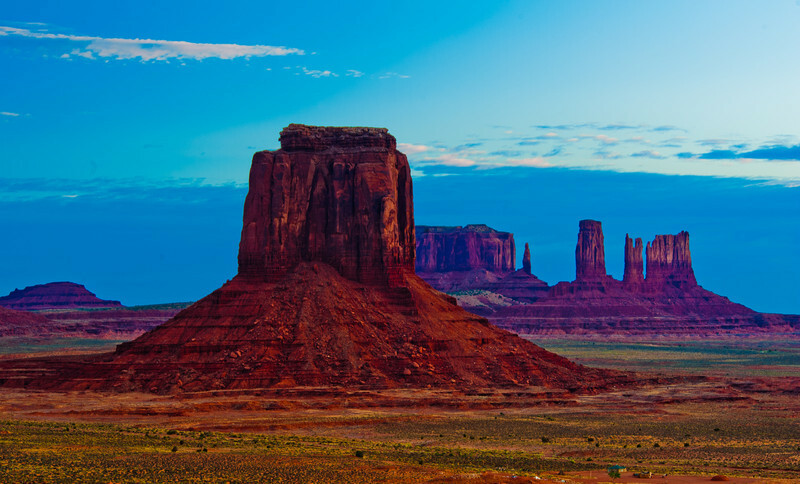 Monument Valley provides perhaps the most enduring and definitive images of the American West. The isolated red mesas and buttes surrounded by empty, sandy desert have been filmed and photographed countless times over the years for movies, adverts and holiday brochures. Because of this, the area may seem quite familiar, even on a first visit, but it is soon evident that the natural colors really are as bright and deep as those in all the pictures. The valley is not a valley in the conventional sense, but rather a wide flat, sometimes desolate landscape, interrupted by the crumbling formations rising hundreds of feet into the air, the last remnants of the sandstone layers that once covered the entire region.